The Collectivité territoriale de Saint-Barthélemy, better known to English-speakers as St. Barts (or Barths), is Caribbean island territory belonging to France located in the vicinity of St. Martin and Anguilla and, further off, Puerto Rico and the Virgin Islands. 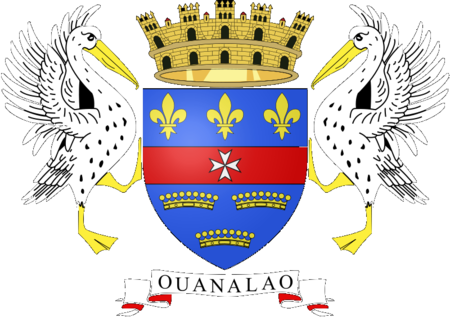 For a long time St. Barts shared a government with Guadeloupe, but early in this century the citizens voted to secede in order to form their own "Collectivité." Columbus discovered the island for Europe, naming it after his stepbrother Barotolomeo Diego Mendez. The French established a colony there in the 17th centuries, as did the British and Swedes in the 18th, but since the 19th France was in firm possession. St. Barts is a tourist mecca on account if its stunning beaches, excellent food and relaxed tropical vibe. The scenery is some of the finest in the Caribbean, and provides the perfect backdrop for scuba and snorkeling, sailing and fishing. There is the added attraction of a duty-free port. Numerous hotels and resort complexes have grown up to cater to the often quite wealthy and occasionally quite famous visitors who flock to the island. However, while there is golf to be had on other Caribbean paradises, including nearby St. Martin, and some of it is quite excellent, such as the championship course on St. Kitts, St. Barts is for now at least a sadly golf-free zone.